The UK's nuclear deterrent is the only way to defend against the danger of a "reckless" North Korea and "increasingly aggressive" Russia, the Defence Secretary has said. 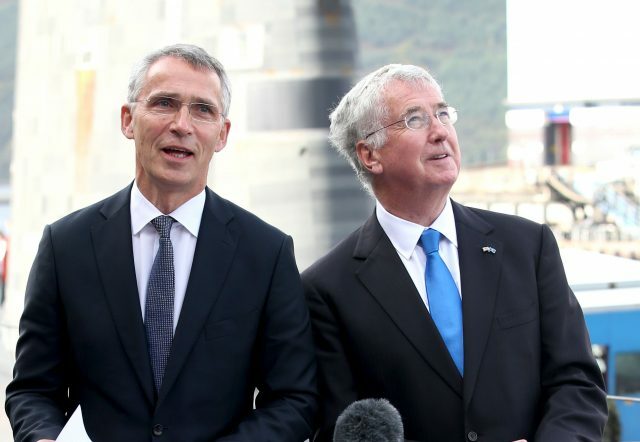 Sir Michael Fallon recommitted the UK to nuclear deterrence as he held global security talks with Nato's Secretary General Jens Stoltenberg and the 29 ambassadors of the North Atlantic Council (NAC) at Clyde Naval Base, home to the UK's nuclear submarines. 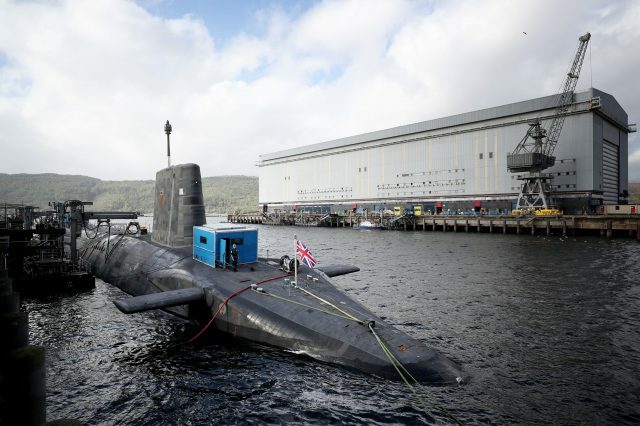 Marking the 350th nuclear deterrence submarine patrol he said the weapons "remain vital for the security of our people and of our Nato partners for as long as the security environment demands". He said the UK Government was working with the US administration to bring the "dangerous, provocative and illegal" nuclear testing programme under North Korean leader Kim Jong Un to an end. In a speech at the Clyde base, Sir Michael said: "Today the nuclear dangers are intensifying from a reckless North Korea and increasingly aggressive Russia. "UK weapons remain the only credible way to deter the most extreme dangers, reminding any aggressor that the benefits of an attack would be vastly outweighed by the consequences." Asked whether the UK would pledge its nuclear deterrent in support of the United States in the event of North Korea attacking America, he said: "It's hypothetical to speculate on what kind of assistance the United States might want from its allies in any particular situation. "We're working hard with the administration to use every diplomatic channel to bring this dangerous, provocative and illegal testing programme to a halt. "We work with the United States tightening enforcement of the existing resolutions, to ensure that the new resolution is properly implemented and we are working too with our European partners to see what further sanctions could be applied within the European Union and to bring further pressure on China to deal with its neighbour." On whether the government was actively preparing for war, he added: "We are working very closely with the United States on all the diplomatic pressure that is needed now to bring this illegal testing programme to a halt. "We have to exhaust every conceivable diplomatic channel before we start considering any kind of military action." Mr Stoltenberg, asked whether Nato would support the US if it decided to launch a preventative strike against North Korea, said: "We continue to work for a peaceful political negotiated solution to the crisis in Korea and we continue to strongly condemn the testing, the development of missiles and nuclear weapons. "At the same time every nation has the right to defend itself and of course also the United States has the right to defend itself against attacks and Nato is there to defend all allies and that's part of self defence, which is part of the UN Charter. "We will continue to work for maximum pressure on North Korea to create the conditions for a negotiated solution. "We call on North Korea to abandon its missile programmes and nuclear programmes and we support the efforts to step up the pressure on North Korea including with economic sanctions."